Whether you have a couple of hundred or tens of thousands of users it is crucial that you group users. This could be just to keep them organised or it could be to allocate each group different training packages. 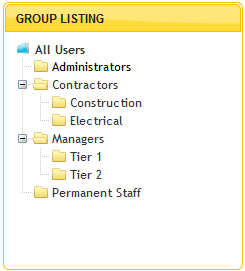 Zulu eLearning gives you the ability to setup as many groups and sub-groups as you like. Zulu eLearning is built to be effortlessly simple whilst overwhelmingly powerful. We give you all the information you need, in the areas that you actually need it. Zulu eLearning is built to handle thousands of users – that means a lot of data. If you’re not using a system that is built to handle that amount of information then it’ll be all over the place. What happens when you need to find a specific user’s information instantly? Zulu eLearning has powerful search capabilities so that you can find users, content, courses & results in an instant. Don’t trawl through hundreds of pages to get what you need. Not only does Zulu eLearning effortlessly deliver online training. It can also be used to manage your face to face training records. 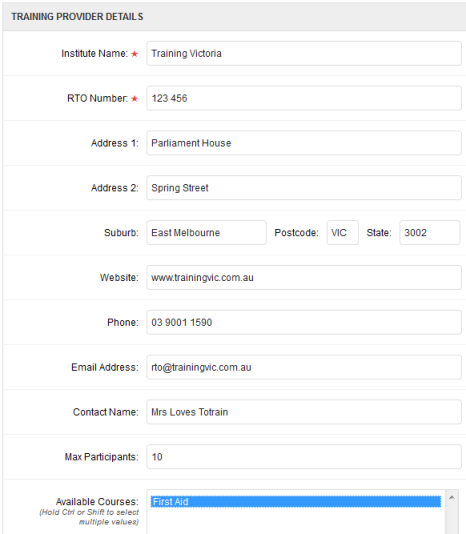 Our system allows you to create a profile for your RTO or non-accreddited trainer then associate various ‘offline’ courses with each trainer. 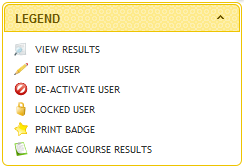 When inputting results you simply select the user or group of users, the course that they have completed, the start, completion and expiry date of the course and then you can upload the certificate of transcript of the course. This information will stay with the user for the life of the system and is reportable in exactly the same way as all of your online training. This means that Zulu eLearning can act as your centralised training database for ALL of your training records. Need to capture more information when your users are self registering? No worries. Zulu eLearning lets you create as many custom fields and field groups as you like. This means that you can capture AVETMISS information of contractor management information – anything really!